In the Gilgamesh Epic, thunder by Adad (god of storm and rain,1 XI 98) accompanied the flood. The flood is described with the coming of Shullat and Hanish (gods of destructive storms,2 XI 99), black cloud (urupatu ṣalāmu, XI 97), darkness (eṭūtu, XI 106), storm (mehû, XI 108, 128), wind (šâru, XI 128), evil wind (imḫullu, XI 131), and so on. According to the expression, “And all mankind turned into clay” (XI 133), the flood was probably global. And yet, the Epic does not appear to identify enough sources of the water to justify a global flood. In fact, the flow of water is not described as much as the storm 5 in the Epic (XI 90–131). Even if the flood were caused by the annual overflow of the Tigris and the Euphrates, it seems to have been impossible that this event would engulf the whole world. As an illustration, “The Ohio and Mississippi River floods of 1937 killed 400, left 1,000,000 homeless, and destroyed $500,000,000 worth of property;” however, it was only a local flood.6 In addition, when Conemaugh Lake flooded in 1889, 2,200 people were killed by 20,000,000 tons of water in Johnstown, Pennsylvania.7 “Six small villages were practically picked off their foundations….”8 This was a terrible and unforgettable catastrophe; nevertheless, the American continent was not covered. Although Nergal was the brother of Ninurta who was “God of war and lord of the wells and irrigation works” in the culture of Ancient Near East,12 there is not the word which corresponds to “the dams of the nether waters” in the text. Nergal, a Sumerian and Akkadian god, was “a great warrior” and “the ruler of the underworld, meaning supreme lord of the deceased.”13 According to the Ancient Mesopotamians’ conception, the underworld is “the dwelling-place of the chthonic deities and the discarnate spirit was situated in the lowest part of the earth.”14 And yet the significance of the term “tarkullu” is “wooden post, pole,” or “mast of boat; in irrigation regulator.”15 Almost the same passage is found in the Atrahasis Epic in the similar context, “Let Errakal [tear up] the mooring poles” (“ta-ra-ku-ul-li der-[ra-kal li-na-si-iḫ],” II vii 51).16 Walton states that the Epic “indicates that the deluge flattened the land, but none of the ancient Near Eastern accounts makes reference to the water rising and covering.”17 Even if XI 101 implies underground water, the Epic does not clearly mention the beginning and the ending of its eruption like the Genesis account does. In fact, the ending scene of the flood is mainly the abating of the storm (XI 129, 131). According to this context, the term “tar-kul-llu” probably signifies the regulator of the irrigation and hence XI 101 seems to be merely one of the descriptions of the breaking up of the irrigation channels. It seems to be reasonable to think that rain was the source of the flood in the Epic. Thus, it seems to be reasonable to think that rain was the source of the flood in the Epic. However, D.E. Rush estimates that the amount of water vapor which can be held above the atmosphere is equivalent to about 20 inches of rainfall.18 If more water is held, the temperature of the surface of the earth becomes too high for life to exist.19 Although Rush and Vardiman maximize the amount of the water to one meter of rainfall,20 this research shows that rain cannot be an adequate sole source for the universal flood. Therefore, the passage “And all mankind turned into clay” (XI 133) seems unlikely. As noted above, while rain could not have been the main source of the Flood, the Genesis account clearly shows another source, probably the subterranean water, which would have been adequate to cover the whole world. In the Gilgamesh Epic, although the duration of the rainstorm is mentioned, the duration from the beginning of the flood until the drying up of the earth is obscure.31 It is stated that “for six days and [six] nights, the wind blew, the deluge leveled the land” (XI 127–128). The word in the brackets is not certain in the original tablet. While Heidel, Sandars, and Speiser translate this line “six days and [six] nights,”32 Thompson, Parpola, Foster, and George render it “six days and seven nights.”33 Whichever it is, the maximum number of the nights is unlikely to be more than seven. In the Atrahasis Epic, it is stated that the storm lasted “For seven days and seven n[ights]” (tablet III, iv 24).34Therefore, it seems to be reasonable to restore the same number for the days and for the nights. Actually, the following lines in the Gilgamesh Epic are description of “silence” after the flood, “when the seventh day arrived” (XI 129-132). Thus, the duration of the rain is likely for six days and six nights. This timeframe seems to be too short for water to cover the whole world. For example, from September seventh to thirteenth in 1976, for six days, a rainstorm hit Japan, and 169 people were killed or lost; 2,833 buildings were broken; 452,203 buildings and 88,965 hectares of farms were flooded; 204 ships were lost.35 The total precipitation was 2,781mm (about 9 feet) and this is the Japanese record.36 However, even the small island nation Japan, which is surrounded by sea, was not completely covered by this rainstorm. Therefore, it seems impossible for a rainstorm to cover the whole world in such a short duration. The world record of one month maximum precipitation total is 366.14 inches in July 1861 in Cherrapunji, Assam, India.37 This is much more rain than the Japanese record, and yet even one country, India, was not covered by those rains. Therefore, the flood account in the Epic seems improbable if it literally means the flood covered the whole earth. As noted above, because rain seems to have been the major source of the flood, no matter how long the duration of the flood would have been, it appears impossible to destroy all mankind by the flood as described in the Epic. Even if the underground water had been another source of the flood, the duration of the flood seems too short for a global flood. 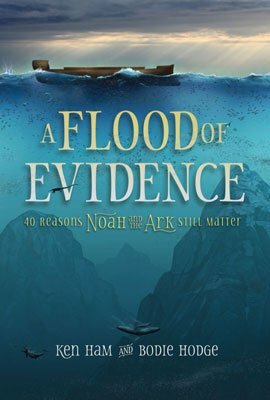 According to these facts, it seems to be reasonable to judge that “The deepening of the ocean basis and the rising of the continents would have resulted in more water running off the land.” Thus, the timeframe of the Genesis Flood seems to be a reasonable length for a universal flood. One ikȗ ( ) is “About 3,600 square meters or approximately an acre.”59 Because the width and length of the ship are equal (XI 30), the floor space is 60 x 60 meters. The term SIG4 (igāru ) means “wall (of a building),” or “side of a ship.”60 Ten ninda ( ) is about 60 meters61 and hence the height of the ship is also about 60 meters. These passages show that the width, length and height of the ship are the same. As noted above, the ship had seven stories (XI 61), and yet the Epic mentions only that the ship’s deck ( ) was about 3,600 square meters, i.e., 60 x 60 meters (XI 58). Because the significance of the term “muḫḫu” is “topside” or “upper part of an object or a structure,”62 it seems to be reasonable to conclude that the ship is not ziggurat-shaped, but “an exact cube.”63 Whitcomb states, “Such a vessel would spin slowly around.”64 Unless the bottom was heavy enough and the upper part was either very light or empty the ship would turn over.65 Therefore, it is questionable how the occupants in the Epic could survive the flood in such a ship. The text implies that the reed hut was torn down to provide materials for the ship (XI 20–24).66 This would be a further indication of the fantastic nature of the account. The concept of “relative safety”, which is defined as the relative superiority in safety compared to other hull forms, was introduced and 12 different hull forms with the same displacement were generated for this purpose. Evaluation of these three safety parameters was performed using analytical tools. Model tests using 1/50 scaled models of a prototype were performed for three typical hull forms in order to validate the theoretical analysis. Bernard Ramm also states: “The lower the center of gravity the more difficult it is to capsize. If the center of gravity were low enough the ark or barge could only be capsized if violently rolled over.”78 Thus, the design of Noah’s Ark was realistic and safe in contrast to the design of Utnapishtim’s model. Heidel, p. 240, footnote 184. L.W. King, Legends of Babylon and Egypt in Relation to Hebrew Tradition, London, p. 70, n. 2, 1918; in Heidel, p. 241. Whitcomb, The World that Perished, p. 69. Ibid. Cf. David G. McCullough, The Johnstown Flood, Simon and Schuster, Inc., New York, 1968. Lowell Thomas, Hungry Waters, the Story of the Great Flood, The John C. Winston Co., Philadelphia, 1937; in Rehwinkel, p. 330. N.K. Sandars, The Epic of Gilgamesh: An English Version with an Introduction, Penguin Group, England, 1960; reprint, p. 110, 1972. “Another name for Nergal, the god of the underworld.” Heidel, p. 84, footnote 185. Heidemarie Koch, “Theology and Worship in Elam and Achaemenid Iran,” in CANE vol. III & IV, 1963. Knut Tallqvist, Akkadische Götterepitheta, Helsinki, pp. 424–426, 1938; in Heidel, p. 84, footnote 186. Heidel, p. 170. Cf. According to Assur’s text, the earth has three layers, “the first was occupied by man, the second constituted the domain of Ea, and the third was the underworld.” Published by Erich Ebeling in Keilschrifttexte aus Assur religi"osen Inhalts, No. 307:34–37. “mooring poles,” CAD vol.11, N Part II, p. 7; George, p. 91; Parpola, p. 142. “the masts,” Heidel, p. 84. “The mooring posts (of the world),” Foster, p. 87. Speiser translates it “the posts” and explains “Of the world dam” in the footnote. Speiser, The Epic of Gilgamesh, p. 94, footnote 206. D.E. Rush, Radiative Equilibrium Temperature Profiles Under a Vapor Canopy, M.S. Thesis, ICR Graduate School, Santee, CA, p. 131, 1990; in Larry Vardiman, Climates Before and After the Genesis Flood: Numerical Models and their Implications, Institute for Creation Research, San Diego, pp. 16–19, 2001. D.E. Rush and L. Vardiman, Pre-Flood Vapor Canapy Radiative Temperature Profiles, Proceedings of the Second International Conference on Creationism, Vol. II, Robert E. Walsh and Christopher L. Brooks (Eds. ), pp. 231–246, 1990; in Vardiman, pp. 19–21. Ken Ham, Jonathan Sarfati and Carl Wieland, The Revised & Expanded Answers Book, Don Batten (Ed. ), Creation Science Foundation, 1990. Revised edition, Master Books, Green Forest, AR, p. 171, 2000. Francis Brown, S.R. Driver and C.A. Briggs, A Hebrew and English Lexicon of the Old Testament, based on the Lexicon of William Gesenius, Edward Robinson (Trans. ), Clarendon Press, Oxford, p. 70, n.d.
Ham, Sarfati and Wieland, p. 169. William Wilson, Wilson’s Old Testament Word Studies, MacDonald Publishing Co., McLean, VA, pp. 413–414, n.d.
Ham, Sarfati and Wieland, pp. 169–170. Donald B. DeYoung, Weather & the Bible: 100 Questions & Answers, with a foreword by Henry M. Morris, Baker Books, Michigan, p. 113, 1992. “Evidence is mounting that there still a huge amount of water stored deep in the earth in crystal lattices of minerals, which is possible because of the immense pressure.” Ham, Sarfati and Wieland, p. 170, footnote 2. Cf. L. Bergeron, Deep waters, New Scientist 155(2097):22–26, 1997. Ham, Sarfati and Wieland, p. 170. An Introduction to the Old Testament, Wm. B. Eerdmans Pub. Co., Grand Rapids, p. 54, 1949; in Whitcomb, The World that Perished, pp. 121–122. The interval from the end of the rainstorm until the day the hero sacrificed offering is not clearly mentioned: although on the seventh day after the ship landed on Mt. Nisir, Utanapishtim sent away a dove (XI 145–146), the number of the days from the end of the rainstorm to the ship’s arrival at Mt. Nisir is not specified (XI 129–140). After the dove returned, a swallow was sent away (XI 149), and after the swallow returned, a raven was sent away (XI 152). Because the intervals between the sending of the dove and the swallow (XI 148–149), and the swallow and raven (XI 151–152), are not mentioned, the duration for drying up the earth is uncertain. Heidel, p. 85. Sandars, p. 111. Speiser, The Epic of Gilgamesh, p. 94. Thompson, p. 62. Parpola, pp. 59, 110. Foster, p. 88. George, p. 93. Eiji Uchida, Sekai hyakkajiten (The World Encyclopedia), ver. 2.01.2, Hitachi System & Service, Ltd., (c) 1998-2000, OEM WB0004. Anthony J. Vega, The most of the weather, The Clarion News, “Clarion Country’s Best LOCAL News and Information Source Since 1840,” accessed August 27, 2003. E.F. Kevan’s commentary on Genesis in The New Bible Commentary, F. Davidson (Ed. ), Wm. B. Eerdmans Pub. Co., Grand Rapids, pp. 84–85, 1953; in Whitcomb and Morris, p. 3. “The dating of the coming of the Flood raises the question as to what calendar was in use then—or whether possibly the date might later have been editorially emended by Moses to correspond to the Jewish religious calendar. It is probably impossible to be sure about this; but since all Scripture is divinely inspired, there must have been some reason for recording the date with precision.” Morris, The Genesis Record, p. 193. Don Batten, Would Noah have required oxygen tanks to breathe when the Ark was above the mountains? accessed August 4, 2003. “Measurements indicate that the Himalayas are still rising.” Ibid. For more explanation of this matter, see Ham, Sarfati and Wieland, pp. 159–168. Whitcomb and Morris, p. 124. “One of the best known is the submarine canyon extending out some 300 miles to the deep sea floor from the mouth of the Hudson River. These canyons exist in great numbers around every continent of the world.” Francis P. Shepard, Submarine Geology, Harper’s, New York, pp. 231–233, 1948; in Whitcomb and Morris, p. 125. Whitcomb and Morris, p. 126. Kenneth K. Landes, Illogical Geology, Geotimes vol. III, No. 6, p. 19, March 1959; in Whitcomb and Morris, p. 126. Whitcomb, The Early Earth, p. 54. Ham, Sarfati and Wieland, pp. 174–175. John H. Walton, Victor H. Matthews and Mark W. Chavalas, The IVP Bible Background Commentary Old Testament, Inter Versity Press, Downers Grove, Illinois, p. 37, 2000. Parpola, pp. 57, 58, 109. CAD vol. 10, M part II, p. 88. “its measurements shall correspond to each other.” CAD vol. 10, M part I, p. 8. CAD vol. 10, M part II, p. 217. CAD vol. 10, M part I, p. 65. “let its (the ark’s) width and length be equal.” CAD vol. R, p. 414. Robert M. Best, Noah’s Ark and the Ziusudra Epic: Sumerian Origins of the Flood Myth, Enlil Press, Florida, pp. 82, 275, 1999. “GÁN” ( ) is an area circa 60 x 60 m. A Concise Dictionary of Akkadian, p. 126. Cf. CAD vol. 7, I & J, p. 69. Schott and Landsberger, Zeitschrift für Assyriologie und verwandte Gebiete, XLII, Leipzig, p. 137, 1934; in Speiser, The Epic of Gilgamesh, p. 93, footnote 192. Cf. “GAM” (kippatu ) denotes “circumference, totality.” CAD vol. 8, K, p. 397. “I built the (ark’s) walls each ten ninda high.” CAD vol. 17, Š part II, p. 22. “The deck had a surface of approximately 3,600 square meters, or one ik?.” Heidel, p. 82, footnote, 173. Cf. “its deck was square ten dozen cubits on each side,” CAD vol. 8, K, p. 335. CAD vol. 7, I & J, p. 34. Ninda ( ) is about six meters. Richard Caplice, Introduction to Akkadian, 3rd revised edition, with the collaboration of Daniel Snell, Biblical Institute Press, Rome, p. 95, 1988. CAD vol. 10, M part II, p. 174. Heidel, p. 82, footnote 173. Whitcomb, The World that Perished, p. 22. Toshio Osanai, Research engineer in National Maritime Research Institute (Japan). Email interview, accessed August 26, 2003. Charles Kimball, The Xenophile Historian, “The Genesis Chronicles: A Proposed History of The Morning Of The World,” Chapter 10: Noah’s Flood, xenohistorian.faithweb.com/genesis/gen10.html, December 11, 2003. Ibid. Cf. “The Babylonian royal cubit was 19.8 inches; the Egyptians had a short cubit of 17.6 inches and a long one of 20.65 inches … . ” Ibid. Sarfati, How did all the animals fit on Noah’s Ark? Woodmorappe, Noah’s Ark, p. 13. “If the animals were kept in cages with an average size of 50 x 50 x 30 centimetres (20 x 20 x 12 inches), that is 75,000 cm3 (cubic centimeters) or 4800 cubic inches, the 16,000 animals would only occupy 1,200 m3 (42,000 cubic feet) or 14.4 stock cars.” “Even if we don’t allow stacking one cage on top of another to save floor space, there would be no problem. Woodmorappe shows from standard recommended floor space requirements for animals that all of them together would have needed less than half the available floor space of the Ark’s three decks. This arrangement allows for the maximum amount of food and water storage on top of the cages close to the animals.” Sarfati, How did all the animals fit on Noah’s Ark? Cf. Woodmorappe, Noah’s Ark, pp. 15–16. Wilson, p. 20. Cf. For the Ark of the Covenant, “ארון” is used. Ibid. Morris, The Genesis Record, p. 181. S.W. Hong, S.S. Na, B.S. Hyun, S.Y. Hong, D.S. Gong, K.J. Kang, S.H. Suh, K.H. Lee and Y.G. Je, Safety Investigation of Noah’s Ark in a Seaway, TJ 8(1):26–36, 1994. “This paper was originally published in Korean and English in the Proceedings of the International Conference on Creation Research, Korea Association of Creation Research, Taejon, pp. 105–137, 1993. This English translation is published with permission of the Korea Association of Creation Research and the authors.” Ibid, p. 36. Ibid, p. 26. Cf. in this study, the cubit is defined as 17.5 inches and the wood is assumed 30 cm thick. Ibid, pp. 27, 36. Ramm, pp. 230–231. In Whitcomb and Morris, The Genesis Flood, p. 103. Cf. Robert Jamieson, Critical and Experimental Commentary, Wm. B. Eerdmans Pub. Co., Grand Rapids, I, p. 92, reprint 1948.